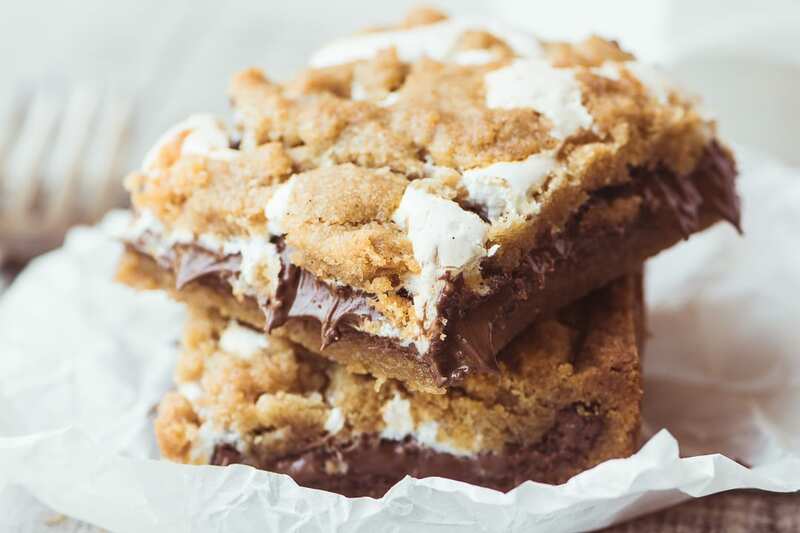 Nutella S’mores Bars ~ everybody’s favorite summer treat in an ooey, gooey, decadent, and delicious bar, no campfire needed! Make a batch and watch them disappear before your eyes. 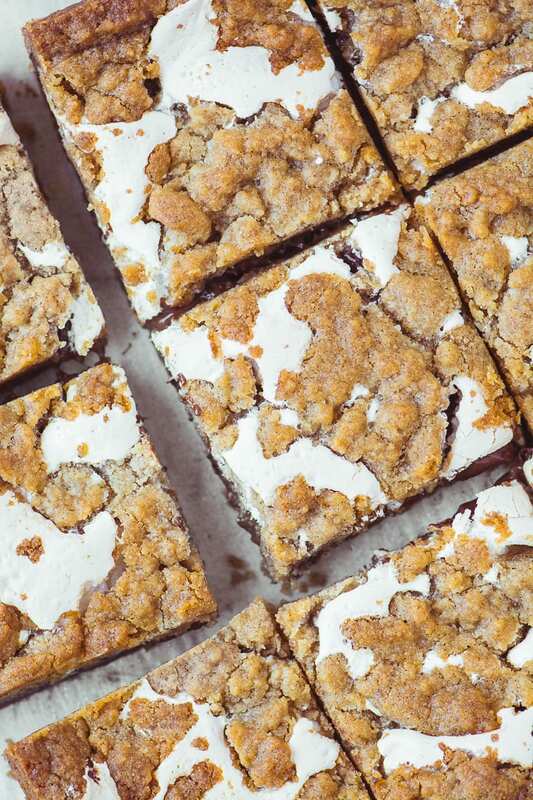 VINTAGE VIEW ~ these Nutella S’mores Bars are from TVFGI archives, the summer of 2013 to be exact. As part of a new series on the blog I’m reviving some of my favorite recipes that you may have missed over the years. 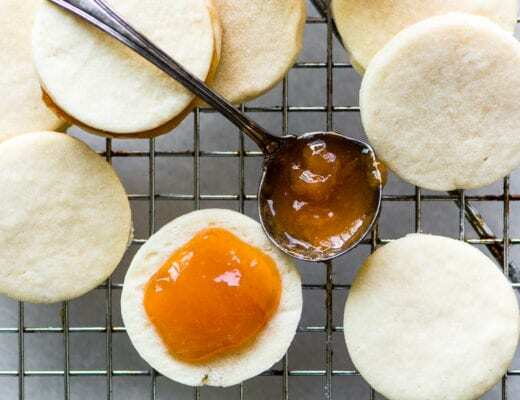 I’ve refreshed the photos and commentary but the recipe remains intact ~ I make these every summer and they’re foolproof ~ I HIGHLY recommend them! 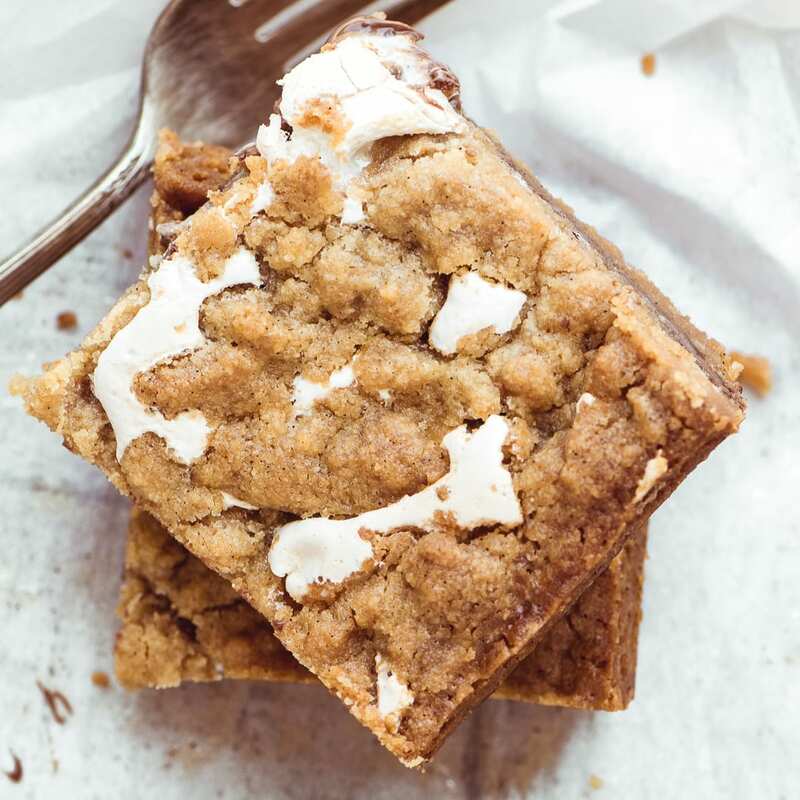 These s’mores bars have everything going for them…they’re easy, they combine everybody’s favorite flavors, and the scent of warm graham and vanilla emanating from your oven will make you feel like a baking goddess. Up till now I haven’t done much with a s’mores theme on the blog. I’m not sure why, except that I’ve never really especially loved the original all that much to begin with. The marshmallow tends to be too bulky, the chocolate is usually mediocre, and the graham crackers are just, meh. But this dessert takes all that is good about a s’more and makes it great. Just enough, but not too much, marshmallow oozes out from the folds of the soft and chewy brown sugar and graham cracker infused crust, and there’s a thick layer of Nutella underneath it all. And Nutella never disappoints. The dough is beautiful to work with, you can just tell it’s going to be delicious when it’s all baked up. I blend it all up in my food processor since I had it out anyway to make the graham cracker crumbs. Pat 2/3 of it in the bottom of your square baking pan, then top with the Nutella and marshmallow creme. The rest of the dough gets crumbled over the top. As it bakes the marshmallow and the dough mingles into a very pretty pattern. Are you a corner loving type like my husband? Because the corners get nice and crisp/chewy. I’m a center cut girl all the way. 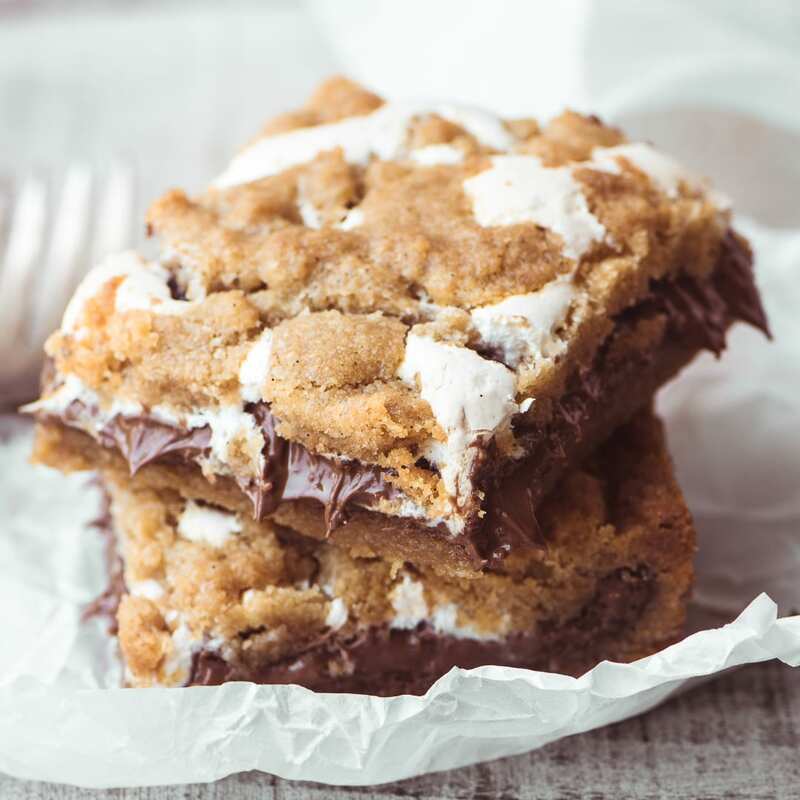 These are just what you’d hope for in a s’mores bar ~ they’re easy to put together, easy to cut, and they have a satisfying ooey gooey texture thanks to the chocolate hazelnut spread and the marshmallow creme. The graham and vanilla flavors linger in your mouth even after you’ve finished the last bite. That’s probably because the crust sticks to your teeth a little bit…in the very best way. One of the nice things about these bars is that the neither the Nutella nor the marshmallow creme hardens, so when you bite into them, you get that classic melty chocolate and stretchy marshmallow pull of a s’more hot from the campfire. Please don’t let the summer pass you by without making a batch! 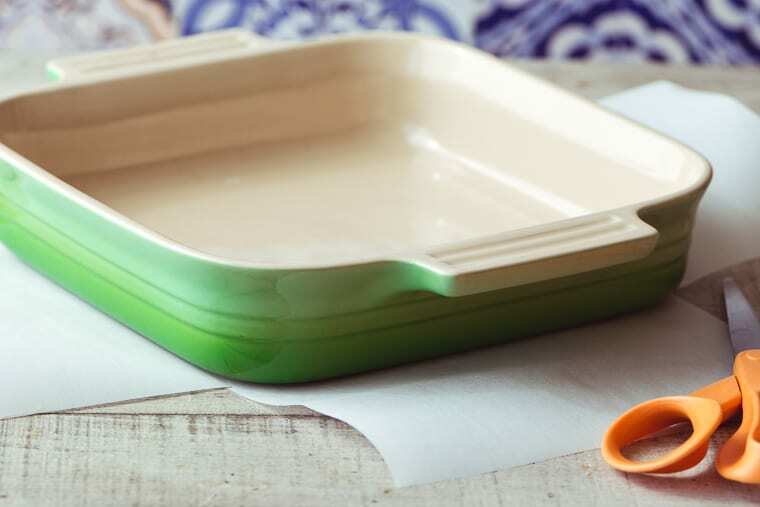 TIP: The easy way to line your pan with parchment is to set the pan on the paper and cut in to the corners, removing the extra squares. It will then fit perfectly into your pan with a built in ‘sling’ to make removing your bars super easy. Spray the pan lightly with cooking spray first to adhere the paper so it won’t slip around. Grind the graham crackers in a food processor until finely ground. It helps to break them apart as you add them to the machine. Process until the mixture is very finely pulverized, with no lumps. Mix the cracker meal with the flour and salt and set aside. Cream the butter and sugar until light and fluffy. Add in the vanilla bean paste and blend well. Add in the flour/graham mixture and fold in until well combined. Press 2/3 of the dough into a lightly greased or parchment lined 8x8 square baking pan. Using your fingers, spread the dough evenly across the pan so it covers the entire bottom. Spread the Nutella over the dough. Using a small spoon, dollop the marshmallow fluff evenly across the Nutella. You don't need to spread it out, but try to get small dollops evenly distributed across the entire surface. Crumble the remaining 1/3 of the dough over the top. Use your fingertips to break it apart into small pieces and scatter it evenly across the surface. Some of the marshmallow will peek through. Bake for about 35 minutes until lightly golden and puffed up a bit. Let cool before cutting if you want neat squares, but these are pretty amazing while they are still warm. 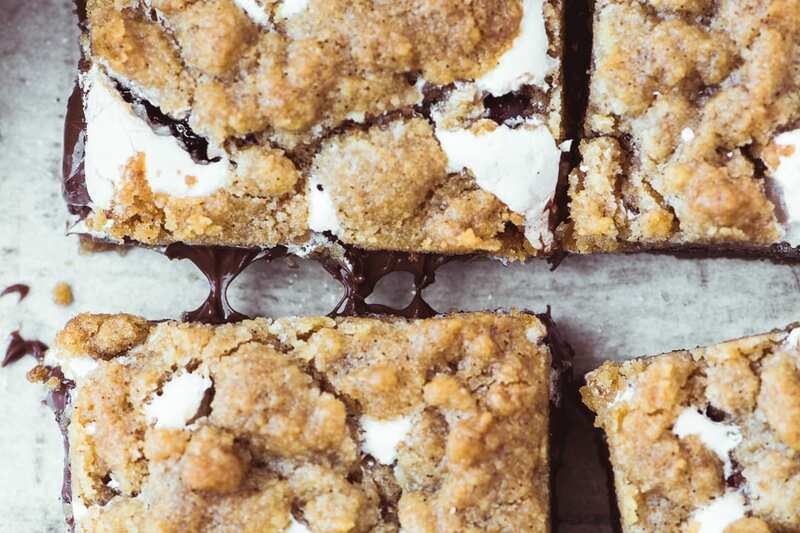 Usually I have lots to suggest in this section, but these Nutella s’mores bars are kinda perfect, just sayin’. If you must fool with them, you might try using chocolate chips or small squares of milk or dark chocolate in place of the Nutella. Peanut butter might also work in place of, or along with, the Nutella. Craving s’more? How about making a S’mores Dip? 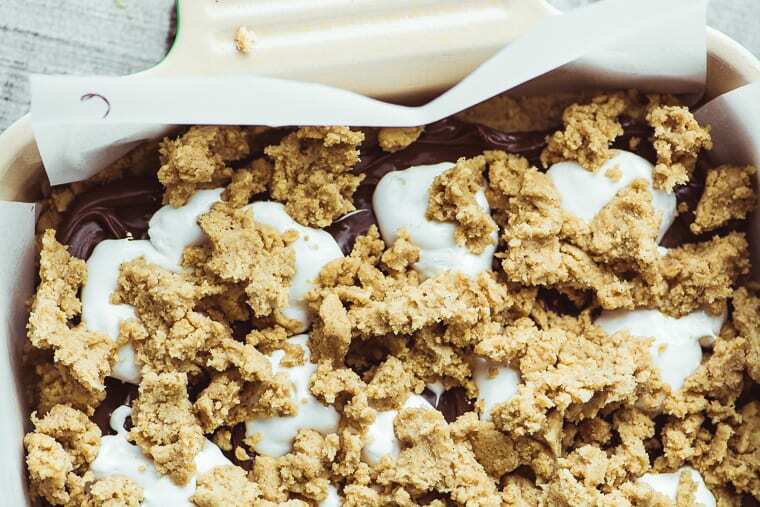 Or maybe you’d like these S’mores Cheesecake Bars. I’m definitely trying these Peanut Butter Stuffed S’mores Brownies! 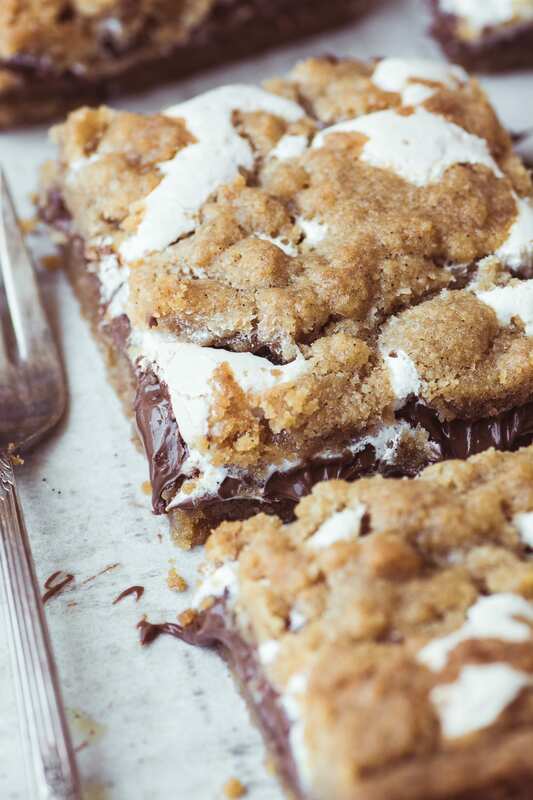 Don’t forget to pin these Nutella S’mores Bars! 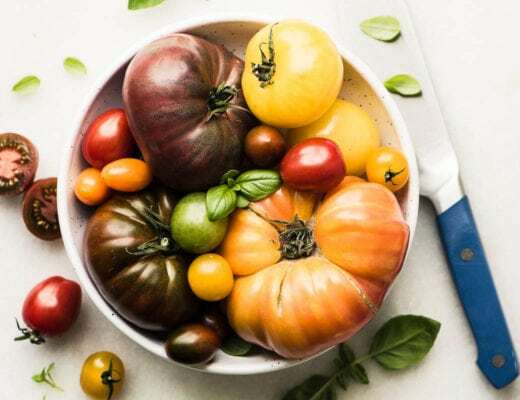 13 Recipes that prove heirloom tomatoes deserve all the hype! Can these be frozen? Need to make a few days in advance for a bake sale. They look delicious! Thanks. I think these should freeze well. Yumm! Totally delicious. Can really taste the graham crackers. I will make it again and again. The only issue is it was very buttery. There was actually liquid butter on the bottom and the crust did not stay together (when it was still warm). Hoping it stays together when it is cool. Curious if the Nutella added the extra oil. You can absolutely keep these for a few days, we always do. I just keep them on the counter, loosely covered. Like most bars, the texture suffers a little bit after you cover and store them, so I still love them best the same day. I made these for a neighborhood fourth of july party and they were a huge hit! Such a hit…that I was just asked to make them for a neighbors’ birthday party! Thank you for the delish recipe! So funny, it happens to me too when bloggers repost old content…I love to see what I said way back in the day! Enjoy your family Monique, sounds like fun! I’m having neighbors over this weekend for a BBQ and plan on making these! I’m hungry just looking at the photos! These are scrumptious! They just replaced my usual caramel squares for camp visiting day. Even better, I so appreciate the way you model dealing with criticism that often doesn’t really make sense (they are too sweet? they have nutella and fluff…). They way you avoid making people wrong or defending yourself is admirable. Thank you! You are so nice to say that Kathy ~ I struggle with that sometimes, and hope I strike the right tone…it’s not always easy ;) I’m really glad you like these, they make the perfect camp visit treat! You might check your oven temperature, Sonia, the marshmallow doesn’t get hard and chewy for me. And make sure you are getting enough of the crumbled dough over the top so that not much of the marshmallow is exposed. Hope this helps! Of course it’s sweet! ? All you have to do is read the ingredients. Including nutella is downright genius, Sue! Pinned – can’t wait to try these! Let me know how you like them, Ben! I have made this using Hershey bars. It’s so good. I used to bake with Nutella until they published an article saying not to bake with it where you are heating it. I love Nutella, but will only eat it without heating now. I’d never heard that Cheryl, so I just googled it and couldn’t find anything about not baking with Nutella, and there are so many recipes out there that do use it in baking. I’d love to see that if you come across it again. That being said, I think putting chocolate bars in this recipe is a great idea. This is a family favorite. My family really loves it. I have made it about 3 times this last month. Thanks for sharing. I’m thrilled you love it that much, Lara, I love this recipe too, and that’s really why I chose to refresh the post ~ I felt like it was getting lost back there in 2013 !! Oh yeah, these are fantastic, Sue. I’ve got my yearly family reunion (camping) coming up and I’m bringing these. They will freak out! MY OH MY these look absolutely delectable!! I love the nutella addition- makes them a little different and gives them that European je ne sais quoi! These bars look so gooey and delicious! It will be hard to share them! PS: Loving the tip for lining a baking pan!! Thanks Anna ~ I saw a friend do it like that once and it was like, where has this idea been all my life?? Thanks Linda, I’m so glad you loved this one, it’s one of my personal favorites. You could use the precrushed crumbs, I don’t think they taste quite as good, though. I believe a sleeve of graham crackers makes somewhere between 1 1/4 and 1 1/2 cups crumbs. These look like the most gooey perfect smores treats! I’m a corner girl like your husband, all the way! Nutella never disappoints! And I’m a corner gal – I love the crunchy bits in anything! Well, hello there, beautiful little bars! I have been pondering the best way to tackle s’mores in bar form for a couple of months now, yet the idea of using Nutella never occurred to me. 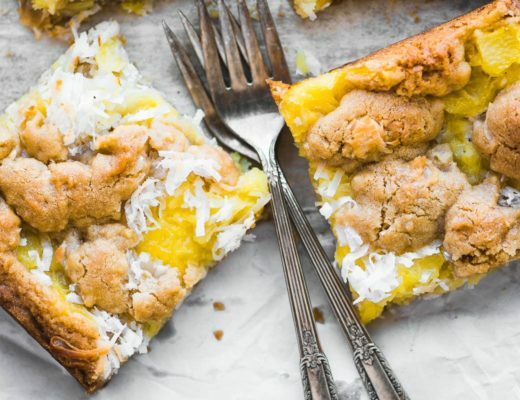 Pinned and cannot wait to try this as soon as we get home from vacation! Watch out Monica, these are addictive!! OMG..I am speechless and drooling over my keyboard, wish I can have it right now :) I really want to bake this one, just one query instead of marshmallows what can I use? as we are vegetarians. Thanks for sharing this wonderful treat!!! I know you can make and buy vegan marshmallows and marshmallow creme, Jagruti, but I’m not so sure how good they are. If you have a health food store nearby you might check. Just wow – who wouldn’t LOVE these beautiful bars. Nutella is a favorite at our house. Next time I go camping I’m taking these instead of crackers and bars! Our new favorite. We have made it three times in the last two weeks, shared with friends and neighbors, and still can’t get enough. Oh. My. Goodness. Dee-Lish-Ous! My family loved these! Could you use marshmallows instead of the fluff? You could try, Sarah, I’m not sure how it would work. I’m wondering if, even if you used minis, or cut up larger ones, they might brown too quickly while the bars cook. Sue – do these freeze well? I can’t honestly say because I didn’t freeze them, but my guess is they would freeze fine, Louise. Can I make this ahead of time and bake it later? I don’t recommend that, Jess. But you could get everything measured and ready ahead of time, which would make it big difference! These look awesome! I’m planning on making them for our family Labor Day gathering…I’m sure everyone will love them! I do have a question about the recipe though. Both steps #3 and #5 say to mix in the flour. I see in the ingredient list the flour is divided, but which amount gets added to step 3 and which to step 5? I’m guessing 1 cup to step 3 and 2 Tbsp to step 5? Thanks for posting this recipe! I just clarified it, thanks, Barbara…it’s just the flour and graham mixture that gets added in. There’s no extra flour. Sorry for the confusion. Oh my gosh…I made them! May I suggest eating in even numbers to keep the hips from being uneven and never drive after eating one as you’ll be in a coma. LOVE them!!! 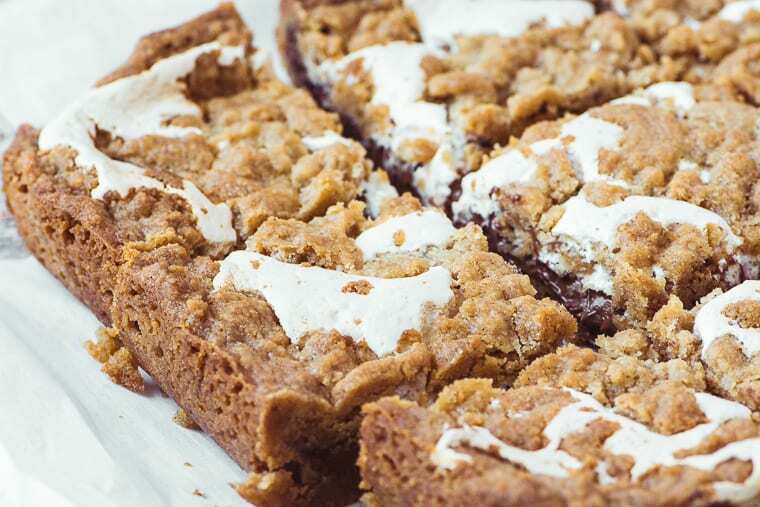 What’s not to love about gooey bars? They look so indulging! I love that you added Nutella to these bars, brilliant! I love smores. And Nutella, And gooey bars. My recipe going live in 12 hours is a gooey Nutella bar. I wish I had one of your bars right now – b/c mine are already eaten and gone :) Beautiful. Pinned! These are calling my name, and it’s no gentle quiet call! It’s loud and I’m thinking these will be rolling out of my oven in the near future, thanks Sue! These would be a great way to keep the s’more season going year round in upstate N.Y.
Do you think a sprinkle of mini-marshmellows would work in place of the jar of fluff? Love the Nutella twist… it’s like Ina “turning up the volume”. I bet little marshmallows would work fine, although I can’t say I’ve ever baked anything with marshmallows in it. They might puff up huge like they do in the microwave…. These are perfect. You really captured s’mores. So many recipes are bars with chocolate and marshmallow. I think yours holds true and is even better because of its simplicity. Can’t wait to try this! There are sooo many recipes, I’m amazed I held out this long! Oh, this recipe will go viral on Pinterest! OMGeee. I don’t like original s’mores, either. I am so pinning this one. Look so sinfully good. Yours look oozier and creamier..next time I will try these..they were for the boys across the street:)They are big fans of anythings Smores.